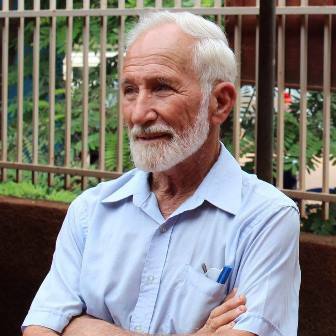 Thousands took to the streets of Djibo, a northern town in Burkina Faso, on Monday (15 January) to call for the government to secure the release of an Australian doctor, Ken Elliott, kidnapped two years ago. The abduction was claimed by the ‘Emirate of the Sahara’, a branch of Al-Qaeda in the Islamic Maghreb (AQIM). Djibo, in the province of Soum, is the town where Dr. Elliott, with his wife, had run a 120-bed clinic for 40 years until their abduction. Jocelyn Elliott was released in February 2016; the Islamist group said in an audio recording that it released Mrs Elliott so as “not to make women involved in the war”. She said at the time that she would not leave Burkina Faso, but their clinic is no longer operating. Several reasons mobilised people to demand more action from the government for the doctor’s release. Dubbed ‘The Doctor of the Poor’, Dr. Elliott was providing free treatment to his patients, saving them significant amounts of money. After the closure of his clinic, people travel via poor transport links hundreds of kilometres to the capital, Ouagadougou, for medical care. They also lack financial resources for travel, accommodation and the treatment itself. These affect children and the elderly in particular. The demonstrators claim that the government has not kept its promise to re-open the only medical clinic in the town. An open letter addressed to President Roch Marc Kaboré, read aloud, stated a request that the surgeon’s clinic, the result of a 40-year commitment, be continued. Dr. Elliott, who is believed to be held outside Burkina Faso, was declared a citizen of the West African nation by an official decree in November 2016. The couple’s abduction coincided with a jihadist assault on an upmarket hotel in Ouagadougou in January 2016, which left at least 30 people dead, including seven missionaries.